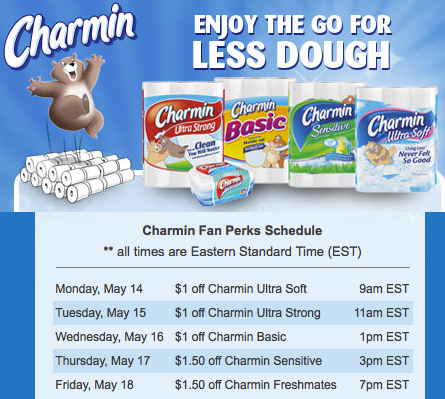 High Value Charmin Coupons Available this Week! May 14, 2012 · by Zack Reyes · Post may contain affiliate links. See my disclosure policy here. Charmin is giving out a limited number of high value coupons through their Facebook page this week. 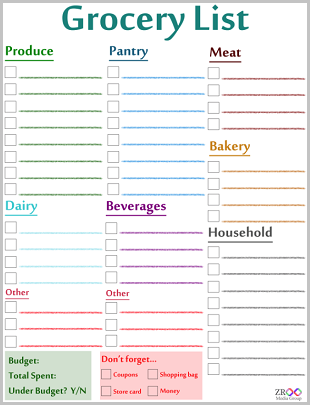 The coupon will be sent through the mail and there is a limit of 10,000 per day. Take a look at the schedule above to see which coupon are being given out on which day. You can only get ONE of these coupons, so choose wisely. Unfortunately the one for today is already gone, but this is a heads up for the rest of the week.